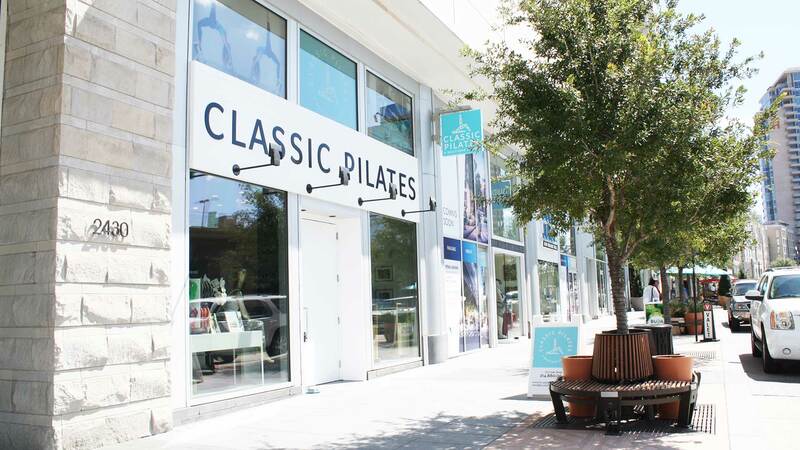 With two locations at Lee Park and Victory Park in Dallas, Texas, Classic Pilates is a studio specializing in the classical method of Pilates, as developed by the world renowned Joseph Pilates. Our beautiful, modern, light-filled studios are equipped with the best Pilates equipment in the industry. Classic Pilates offers private, semi-private, and Aerial Fusion sessions, along with Reformer, and Pilates mat. Our professional Power Pilates instructors have over 50 years of combined classical Pilates experience and will give you the individualized attention you need to build a better, stronger, and leaner body. Take your physical fitness to the next level, revamp your workout, or recover from injury- Classic Pilates can help you achieve your goals! Joseph H. Pilates spent a lifetime perfecting his method; Experience what a century of tradition can do for you! Classical - Power Pilates programs honor the original teachings, principles, vocabulary and exercise order passed down from Joseph Pilates. Systematic - Each exercise or session has a systematic and meaningful sequence that is organized with a natural yet defined purpose and progression. Integrative - Our teachers understand the purpose and use of each apparatus and how to intelligently integrate them into a session at the appropriate time for each individual. 2016 All Rights Reserved. All images and logos are the property of Classic Pilates Studio.